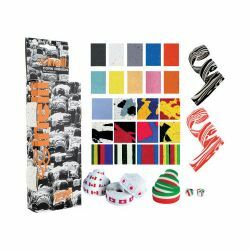 Description: Cinelli; Cork tape; Assorted solid Colors always in stock.Orange,Cork,Gray,Black,Blue.Call for today's availability.This is the original cork tape introduced by Cinelli way back in 1987. Available in a wide variety of colors, each package contains enough tape for both sides of most road drop-bars (up to 46cm), plus end caps and Cinelli finish tape. Winner of the 2000 Consumer Choice Award.